Mike has over 35 years of experience as a safety, health, environmental, risk management, and manufacturing professional and has collaborated professionally and personally with FRM founder, Mitch Ferguson for 30 years. Mike holds a Bachelor of Science degree in Chemical Engineering from Mississippi State University. Mike has achieved and currently holds certification in OSHA’s Process Safety Management process hazard anaylsis (PHA), Root Cause Failure Analysis (RCFA), and OSHA’s Special Government Employee (SGE) designations. 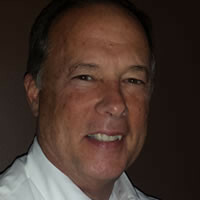 Mike has over 25 years of experience in emergency response training and plan development. He has been involved in the local emergency planning committee (LEPC) in his community for 25 years. Mike has participated in over twenty OSHA VPP audits and inspections. Mike has served in progressively challenging positions in manufacturing, safety and health, emergency response and environmental management over his career. These roles ranged from a chemical manufacturing process engineer, project engineer, technical manager, production manager and EHS&S manager in the specialty organic chemical manufacturing industry. Mike’s skill sets include incident investigation team leader, safety, health and environmental auditing/inspections/surveys, technical guidance, training & education, leadership development, program development/review, and management system evaluations. Mike is married with three children and five grandsons. He is an Eagle Scout and is currently serving as the Chaplain of the Winder Fire Department. Mike joined FRM in May 2013.